There are endless options when it comes to Super Bowl snacks. They may be delivious, but they’re not usually all that healthy. If you’re going to a Game Day party or hosting one yourself and are in search of a healthier alternative on what to serve, here’s a super “bowl” meal that’s sure to be a winner. It’s great, too, because it goes well with lots of other healthy sides, like homemade guacamole or a refried bean dip. Reheat rice gently in a small pan with a few drops of water, or in the microwave. Divide the heated rice between two wide bowls. Heat a cast iron or non-stick sauté pan over medium heat for a minute, then add the oil or butter to the hot pan. Crack each egg, place in the pan, and reduce the heat to medium-low. Cover the pan and let cook for about 2 minutes, until the whites are set and the yolk is jiggly when you shake the pan gently. While the eggs cook, cut the avocado in half lengthwise, and remove the pit. Use a paring knife to slice each avocado half in the shell, then scoop the slices out with a spoon. 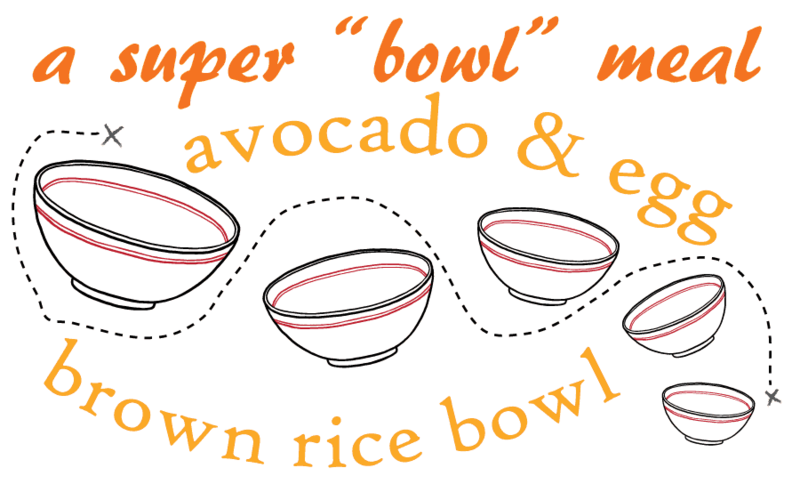 Fan half of the avocado slices over each bowl of rice, and place a cooked egg on each bowl. 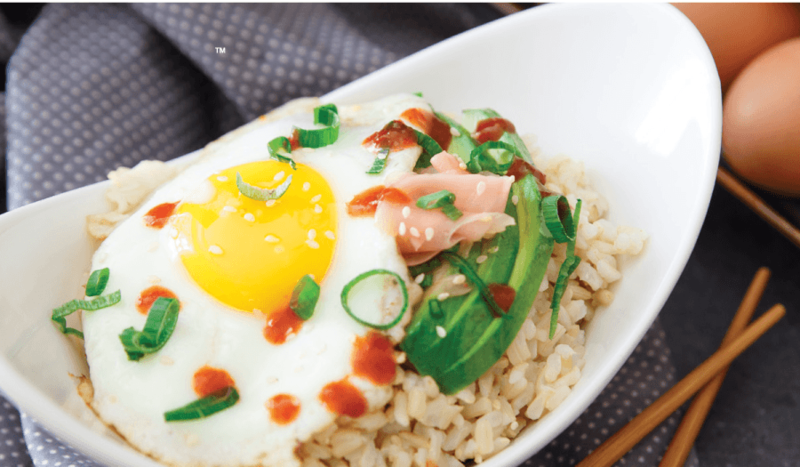 Serve with optional garnishes for a hearty breakfast or lunch. Transform this rice bowl into a quick, filling lunch with the addition of leftover chicken, turkey or cubed baked tofu. Or for a heartier breakfast, add sausage or bacon crumbles. Top with your favorite hot sauce for some added spice. The nutritional values and information provided are approximations. Help Us Put Our New Community Space to Good Use!